original ww1 Britains lead machine gun section boxed set. A fabulous original WWI Britains lead Machine Gun Section from the British Expeditionary Force. The set consists of 6 gunners lying down with their guns. This is a 15oz packet and has been wrapped in plastic for protection. 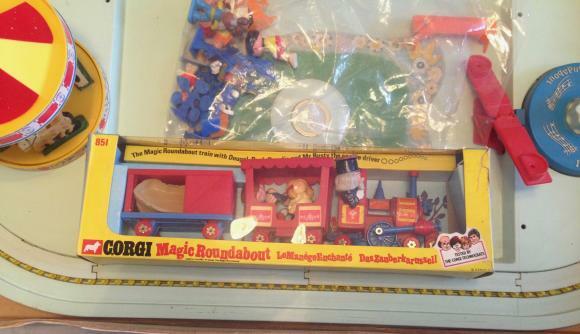 This is the classic Corgi Magic Roundabout set from the late 1960s. It is complete with Zebedee's train, Florence , Dylan and all the other figures. Everything works and the set is in great condition . The box is all there, just a bit scuffed. In immaculate condition with the patient on a stretcher,this is the Dinky Superior Criterion Ambulance , model number 263 which comes in its box. 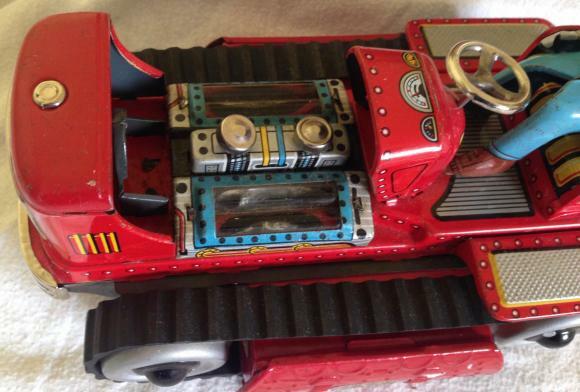 it was this car which became the Ghostbusters vehicle. The box is complete with all tabs but had scribbles on one side. 1940s kum bak tennis trainer garden game. A wonderful c1940s Tennis Trainer garden game sponsored by Tony Mottram. It is complete with the poles, guy ropes and ball with a spare length of rubber chord. 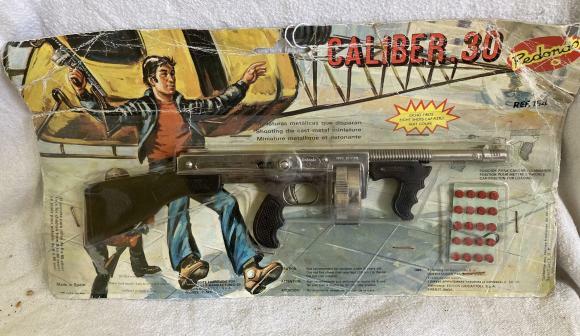 Looks great fun but was designed as a training tool rather than a game. It comes with the full instructions. 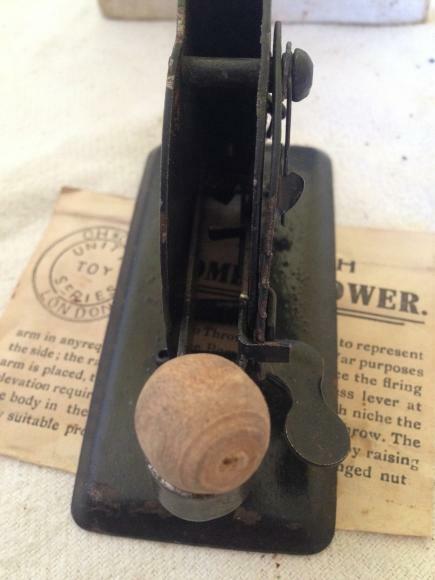 An astonishingly rare early tin plate toy from WW1. 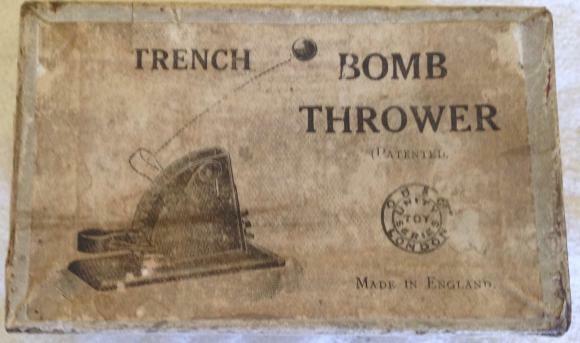 This is a Trench Bomb thrower which was made by Unity Toys of London. 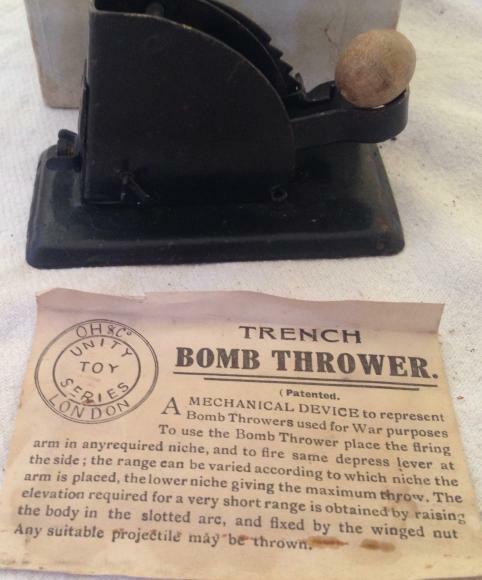 It still has its original wooden 'bomb' and the instruction leaflet. 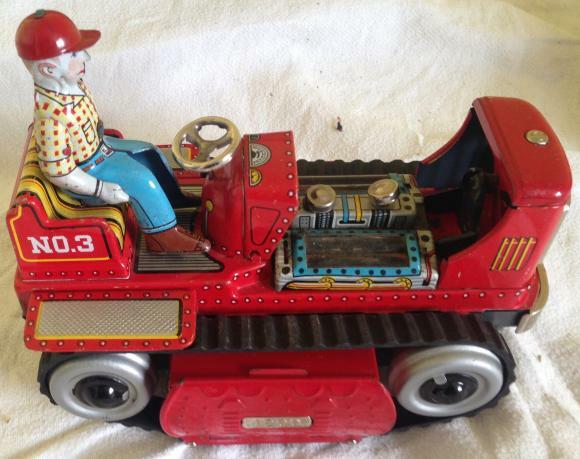 The toy is approximately 3 x 2"
It still works and in in superb condition. 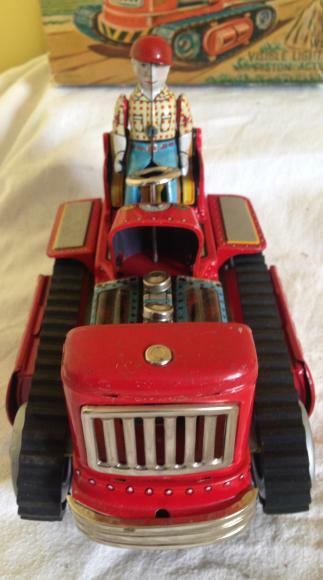 An original Dinky Supertoys Missile Erector with Corporal Missile and launching platform which comes in its box with the instructions. 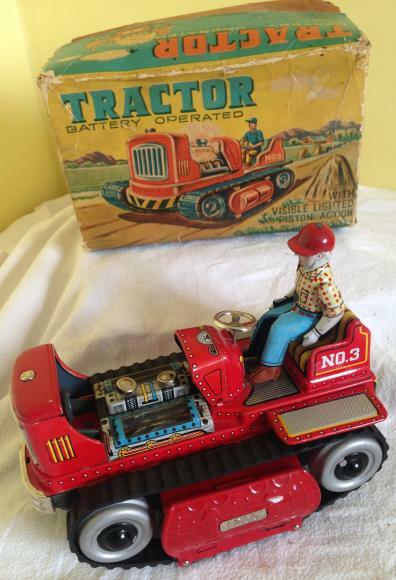 A wonderful vintage Japanese made tin plate, battery operated tractor in its original box. it dates from the 1950s. 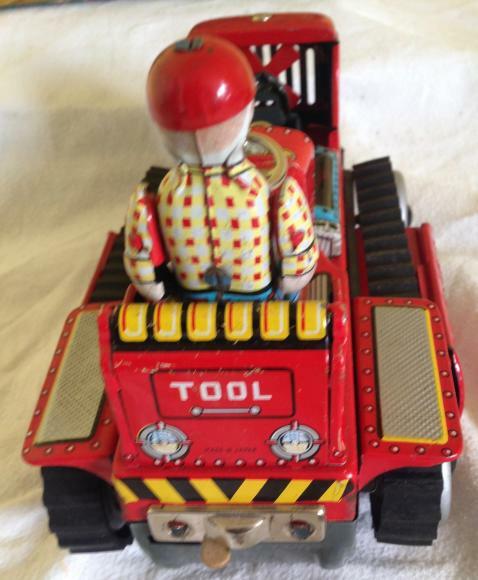 It goes forward and backwards, the engine lights up and the pistons go up and down. The box is a bit scruffy. Original c1980s Tomy Screwball Scramble game. Complete with ONE ball bearing and working. box is a bit scruffy. A superb early 896 semi push fit wooden piece jigsaw called When the Broadway Meets the Dawn.. It is complete and comes in its box.